Our list of summer programs and camps has something for every teenager. Explore, comment, or write a review on the great opportunities available on college campuses, nationwide, and overseas. If you have attended one of our listed programs, please take a second to add a comment about your experience below. You can also write a longer review of any summer program, trip, or activity. Teens can directly observe and research whales, dolphins, porpoise, puffins, seals in their natural habitat. College credit for writing and art summer camps. Based on beautiful Grand Manan Island between Maine & Nova Scotia. A pre-college summer program offering 1-6 week academic and research programs for motivated high school students. Earn university credit, explore academic interests, and experience UMass Amherst life. The ACLU Summer Advocacy Institute will bring together a diverse group of students from across the United States to participate in a week-long, firsthand learning experience for the next generation of social justice advocates. Gifted And Talented Silicon Valley Innovators (“GATSVI”) is the only high school entrepreneurship program that brings together the top resources in Silicon Valley to mentor and guide you to not only launch your own startup, but also pitch your business to actual investors for real funding. Intensive creative writing workshops for writers completing their freshman, sophomore, or junior years of high school. Write and share new work, experiment with new styles, and gain insight into the creative process in a supportive community. The College Preparation Program at Northwestern University is designed for high school students who want new academic challenges and the experience of college life while earning college credit. EXPLO summer programs are where bright and curious students from 40 states and 70 countries come to practice living with daring and courage. Held on top university campuses, our Public Speaking Institute™ helps students build confidence in their presentation and public speaking skills. Held on several top university campuses, this academic camp has 9th-10th graders focus on the critical skills necessary for success in high school and helps them get a head-start on building impressive academic resumes. As summer creative writing programs proliferate and high school students have dramatically more choices than even a few years ago, the Duke Creative Writers Workshop still stands out as a customized campus experience. At the University of Maryland, enroll in a college course, earn college credit, and learn from dynamic faculty. Benefit from the challenge and excitement of the College Park life. Held on several top university campuses, our A+ SummerTM programs are designed for motivated students who are interested in a fun and challenging camp that builds proficiency in critical thinking, logic, and writing skills. JKCP offers an innovative lineup of summer camps that include instruction by professionals in tennis, business leadership, science, computers, fitness, cooking, the performing arts, engineering and more. Jump start your future in 4-weeks at Ringling's PreCollege. Focus your creative exploration in college-level courses that integrate fundamental studio practice with two major-specific immersions, and a robust student life. Summer prepares middle and high school students for a pre-college experience with unmatched courses, ACT/SAT prep, and activities on UCLA, Harvard, University of Wisconsin at Madison campuses, and in Florence and Barcelona. UC Irvine and Gifted and Talented Innovators ("GATI") offer pre-collegiate summer programs dedicated to providing gifted students with courses that give them an edge in the college admissions process and beyond. American Legal Experience offers teens a unique opportunity to learn public speaking skills through a focus on the American government and judicial system. Offered on several top university campuses, our science and engineering camps encourage teens’ interests in science in an environment that is supportive, enriching, and fun! The Oxbow School offers Semester and Summer Art Camp programs for teens from schools across the nation and abroad. Oxbow’s interdisciplinary curriculum, centered on an intense and self-reflective approach to studio artmaking, offers students rich opportunities for learning in an environment that extends the traditional school model. This summer camp offers unique "District" and "Pirate" themes that teen lovers of the Hunger Games and Elizabethan-era lore will find incorporated into fun events, courses, activities and campus housing for one or two weeks! LIM College's Summer Fashion Lab is a comprehensive pre-college program that offers high school and college students the opportunity to study fashion at the college level, experience New York City, and test drive a college exclusively devoted to the business of fashion. Founded in 1981 and housed at the Suffield Academy in Suffield, Connecticut, YPI, Inc. (formerly the Young People's Institute) is a two-week long co-educational residential summer camp for the creative arts. Preview college in the heart of Boston. Summer pre-college programs at Boston University include 5 challenging and exciting options for high school students. Gain an academic advantage in a fun environment! Study creative writing, music, theatre arts, visual arts and dance at a summer arts camp for students ages 8-18 or an arts academy for 435 high school teens. Our Computer Camps held at Stanford and UC Berkeley will definitely challenge students’ creativity and technology skills! Students entering grades 4-12 may choose from a variety of programming and design offerings. Carpe Diem Educational Consulting supports both American and international students in planning for and applying to college by providing private consultation, in-person and online courses, parent seminars, and professional development for educators. The Emory Pre-College summer camp program gives college-bound high school students an exciting glimpse of academic and residential life at a top-ranked national university. JHU offers summer courses across the university through our Summer University and Mini-Term programs. Students interested in the health fields should look to our Discover Hopkins program for hands-on coursework. 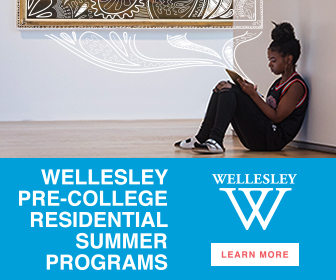 Wellesley College offers Pre-College Residential Summer Programs to motivated high school girls ready to experience college life, be challenged by Wellesley’s renowned faculty, and make meaningful friendships while growing as a more confident, focused individual. Students participate in Four-Week Immersive Programs or One- and Two- Week Exploratory Workshops. Available at Stanford, UCLA, and Yale, our Journalism camp will give teens the skills they need to be successful in our fast-paced global media. Education Unlimited offers two week-long college tours that visit 10 prestigious schools in California or along the East Coast with lots of fun and excursions along the way! UCI Paul Merage School of Business and Gifted and Talented Innovators (GATI) offer summer programs dedicated to providing students with courses that give them an edge in landing internships at top US companies. Take your craft, and your sense of independence, to a whole new level with The New School's intensive summer study programs, offered in some of the world's most urban and culturally diverse cities including New York, Paris and London. A three-week summer camp designed for students in grades 6-8 to explore the artistic disciplines of Dance, Music, Theatre, Creative Writing, and Visual Arts, led by artists from the Chicago High School for the Arts. Campers will receive pre-professional training in the arts and create original pieces for performance and showcase. Join Zeal for a life-changing summer full of adventure, culture, and meaningful service. Click here to learn more about our great summer opportunities. St. John’s College Summer Academy is a residential, pre-college program for 15 to 18 year olds that nurtures critical thinking and personal growth. This studio acting summer camp program is designed for teens to immerse themselves in scene and monologue work under the guidance of trained professionals. These summer camps held at UC Berkeley, UCLA, and Tufts, offers multiple versions of a pre-college program that covers SAT Prep, Personal Statement Writing and College Counseling for students entering grades 10-12. SCI-Arc is a world-renowned center of innovation and one of the nation's few independent architecture schools, offering undergraduate, graduate, and postgraduate programs. We are dedicated to educating architects who will imagine and shape the future. Education Unlimited offers two programs on the campus of UC Berkeley that allow you to experience life as a college student! Programs run from 2-8 weeks long. Camp Ballibay is a true haven for creative, independent-minded, and different-thinking teens. We offer deep, engaging programs in theater, art, dance, rock, and media for young artists at all levels. Since 1983 the Young Writers Workshop summer program has offered teens the opportunity to explore new directions in their writing in a supportive, collaborative summer camp environment. Our 2, 3, 4, or 6 week academic summer programs allow high school teens the opportunity to study, explore career interests, and earn college credit. Offered on several top university campuses, this creative writing program is designed to develop and support teens' imaginative writing process. In this fast-paced program, teen filmmakers will learn from industry professionals how to produce, direct, light, shoot and edit like experts as they make their own movies! Great Books Summer Program is a lively, warm and welcoming summer camp community of outstanding teens, grades 6th-12th, who love literature and ideas. Founded in 1848, the University of Mississippi, affectionately known as Ole Miss, is Mississippi's flagship university and is renowned for a blend of academic rigor, experiential learning, and opportunities for community action. UConn Pre-College Summer offers rising high school juniors and seniors the opportunity to study, live on a top-ranked public university, and learn more about college life through four challenging and intensive one-week sessions. Apply now! Penn Summer High School Programs offer an outstanding Ivy League academic challenge to teens in the US on a beautiful, historic campus. SuperCamp is the #1 learning and life skills summer program for teens in the world. Since launching in 1982, over 82,000 students have graduated from our programs. 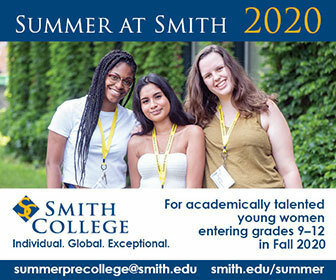 Explore Smith's diverse programs for high school girls on our beautiful campus. Choose from Summer Science and Engineering, Women's Writing Workshop, Discovering Women's History, Field Studies for Sustainable Futures, or College Admission Workshop. Financial aid is available! Based at Boston University, this hands-on, two-week workshop from the New England Center for Investigative Reporting is a unique opportunity for students to learn investigative news reporting, experience life on a vibrant college campus, and explore Boston. Our Career Discovery summer camp helps teens decide if a career in design is right for them and prepares them for admission to a professional degree program. Summer students enroll in undergrad courses, earn college credits, and live in a student dormitory to gain an inside perspective on college life. Teens entering their junior and senior years in high school learn about the college experience by studying for three weeks and earning college credit at the University of Miami! In Georgetown University's Summer High School Medical Programs, you'll have the opportunity to explore the world of modern medicine, live on campus, and experience the excitement of college life. The Summer School at Phillips Exeter Academy seeks bright, highly motivated teens to participate in five weeks of academic exploration and discovery at our summer camp. Summer camp opportunities in theater, creative writing and visual art for teens ages 13-18. Come immerse yourself in poetry, fiction, playwriting, acting, dance, and musical theater right outside Boston! Join us this summer to share your work, practice craft, and improve your writing. Find out how much your writing can improve after just 2 intensive weeks at our summer camp! Writer's Retreat enables teen girls to practice and hone their writing talents. Our summer camp combines specialized courses, activities, and field trips to help girls discover and use their unique voices. Teenage students at our summer camp work closely and cooperatively with professional artists, writers and performers in the visual arts, the performing arts, and creative writing on a spectacular hilltop campus in southern Vermont. GLA offers volunteer travel summer programs for teens in Africa, Asia, and Latin America. Participants explore historic and natural sites, learn the local language and history, and serve the community through volunteer efforts. Alumni of our summer theater camps have been nominated for 95 Oscars, 236 Emmys and 83 Tonys. 6-Week Intensive Programs. New York. Los Angeles. Transforming communities, environments, and students' lives through meaningful cross-cultural service adventures in the British Virgin Islands, Ecuador and the Galapagos, Costa Rica, China, Thailand, India, Peru, and Australia. An oasis for Performing and Fine Arts. YOU design your perfect summer camp in Fine Arts, Music, Theater, Rock Bands, Dance, Circus, Magic and fun water fun and land sports. Teenagers who enroll in our summer camps can study art in the unique atmosphere of a college for the visual arts. On-campus housing is available. America's leading performing arts summer camp where every child or teen chooses their own individual schedule, from more than 80 activities run by certified teachers and counselor specialists. This college-preparatory summer camp engages teens in the most rigorous and rewarding study of their lives. Our exciting Summer Academy for teens in grades 6-10 provides parents and students many different summer camps to choose from that are flexible and convenient. Supported by National Endowment for the Arts, high school students spend 5-weeks at Wesleyan University. Our summer camp program offers 10 art forms, plus amazing interdisciplinary classes. All arts, all of July. Skip summer camp - as a teenage CUA Summer College student, become immersed in college life and get a head start on your college career before you finish high school! Touch the Past. Archaeology Learning Adventures summer camp programs for teens offer a chance to experience archaeology firsthand. Have fun, make new friends, and gain experience in excavation and analysis. At Washington University Summer camps, pre-college teenagers can get a taste of college life, live in residence halls, and make new friends from around the world. High school study abroad programs for college credit in Spain, France, Italy, Costa Rica and China. Earn college credit and have the summer of your life with an SPI summer program! Davidson THINK Summer Institute is a challenging, residential, academic program at the University of Nevada, Reno. Students take two university courses in three weeks and earn college credit. An intensive academic enrichment summer camp offering rising juniors and seniors college-level coursework in international affairs and leadership training in Washington DC. School of the Museum of Fine Arts, Boston’s Pre-College Summer Studio--Teenagers can explore painting, drawing, printmaking, sculpture, video, digital photography, and more while earning college credit at summer camp. A unique boarding school summer camp experience for teenagers from across the U.S. and the world, combining challenging academics with great athletics, performing and visual arts, and excursions across New England. Make the most of your summer vacation with this six-week academic summer camp for high school juniors and seniors. Earn college credits, explore NYC, and experience academic and student life at NYU. Scholarships are available. A summer camp for high school students entering grades 10-12 who want to explore architecture and interior design. Campers (ages 9-16) freely explore the performing and creative arts in a supportive, non-competitive summer camp environment with professional artists and instructors. Held at Georgetown, Stanford and Princeton, the JSA Summer School camp provides teens with an advanced college curriculum, skills-based leadership activities, and interactive sessions with prominent politicians and other leaders. Summer Discovery and Discovery Internships partners with universities including UCLA, University of Michigan, University of Texas at Austin, and Penn State, to offer summer pre-college programs for middle and high school students. Atlantic Center for the Arts’ your word: Teen Creative Writing Residency summer camp program offers writers workshops and mentorship by distinguished authors in poetry, fiction, and creative nonfiction/memoir. The International Writing Program: "Between the Lines"
An exciting two-week creative writing and cultural exchange summer camp for teens. Improve your writing, make international friends, live in university dorms, and have fun in the UNESCO city of literature, Iowa City. Rising high school seniors: Marymount's Institutes offer teenagers like you the opportunity to complete a college course during summer camp while experiencing the excitement of the nation's capital! Our unique summer camp offers training in techniques to develop teenage actors' Voice, Presence, and Imagination. Work with some of the world's most respected teachers and Guest Artists. 5 weeks in NYC, begins June 1. Join our supportive and dynamic summer camp community of teen writers and thinkers on the beautiful campus of Chicago's national liberal arts college. Dramatically improve your language learning this summer in the U.S. or Abroad with the Middlebury-Monterey Language Academy summer camps. Teens entering 8th-12th grades are fully immersed in their chosen language and see improved learning in just four weeks. Ahead of the Curve is a new two-week seminar-style summer camp on globalization at Michigan State University. The seminar is designed for talented high school students who have an interest in international affairs. Academic summer camp for high school teens offers Introduction to Business & Engineering, Lab Experience, and Team Project Opportunities. Also, enjoy campus life and social activities. Travel for Teens offers community service, language immersion, photography, and cultural immersion trips to Europe, Asia, Africa, Central America, and Australia for students 13 to 18 years old. Taught by leading industry professionals and partnered with universities across the country, our summer camps give teenagers the opportunity to pursue their passions while getting a taste of life on a college campus. Inspired by Rosie the Riveter, this summer camp program enables teen girls to discover their inner strength through hands-on trade instruction, woodworking projects, and activities testing the limits of cultural expectations of "women's work". Internationally recognized for our summer camp programs in computer science, fine arts, engineering, business and the humanities. You'll find a dynamic, intense teen student body working very hard -- and playing hard, too! Join other teenage girls at our summer camp for total immersion in through classroom activities, participatory experiments, visits to industries and contact with practicing women engineers. LITA is a unique language immersion summer program for teens that offers a personal and small group approach to exploring Spain. LITA programs focus around a homestay and explorations off the beaten path. Join teens from around the country on an educational adventure exploring field research, natural history, and backpacking in the Greater Yellowstone/ Teton Ecosystem. JKCP Presents "Penn Medicine Summer Program for HS Students"
The Perelman School of Medicine at UPenn offers a summer medical camp for HS juniors and seniors. It’s ideal for high school teens considering a career in medicine or medical research. The Jewish Museum has an annual studio arts summer camp for high schoolers, where teens will learn new approaches to painting, sculpture, videography & ceremonial arts while exploring NYC! For girls looking to make a meaningful and lasting impact this summer and beyond, this program is the perfect fit! Girls will create, launch and manage their own Service Learning experience! The Early College Program Summer Institute at the School of the Art Institute of Chicago offers two- and four-week summer camp sessions for teens beginning in June and July. Westfield State features residential summer camps for teenagers ages 14 to 17. Check out Westfield CSI or Flight Academy! As a launching pad for teen actors who aspire to work in the Los Angeles film/TV industry, our training DURING and support AFTER summer camp is the most unique of its kind. JKCP Presents "International Leadership for Social Impact"
Earn College Credit at the only leadership program of its kind. The program blends global politics, world history, current events, business and leadership. Live on campus at the University of Pennsylvania. Motivated high school students find the Harvard Summer School a challenging, rewarding, and exciting Ivy League college camp program experience. Study the fine arts, architecture, creative writing and more at this prestigious institute's summer camps for teens. Colorado College Pre-College Program - Teens, earn college credit during the summer as well as participating in Colorado summer camp-like activities. Find out if Colorado College and the Block Plan are right for you. SCAD offers summer art camps and workshops for younger teens in Atlanta and Savannah, Ga., and a precollege experience for rising high school seniors in Savannah. Explore advanced topics in 3D modeling and printing, video game design, programming, and level design. Create an awesome portfolio, get industry insights, and gain a competitive advantage for the future. An opportunity for teens to assess their talents, interests, and values. Your summer camp experience will help you clarify your options as you prepare for the college application process. Make art in Ireland during this three-week summer camp where teens study painting, drawing & photography. Live on our family farm, work in a beautiful studio, and travel the county from Dublin to the West. If you're serious about learning a language, come to one of the nation's finest language summer camp programs, the Center for Language Studies (CLS) at beautiful Beloit College in Wisconsin. JKCP Presents "Art: Summer at Penn"
Four-week summer camp at UPenn. Teens can choose from courses in animation, drawing, filmmaking, photography, sculpture, graphic design, printmaking, product design, and more. A unique summer camp opportunity for a select group of high school teens. Rigorous, college-level coursework. Choose from biotech, nanotech, robotics, computer science, computer graphics, and engineering complex networks. Learn more! Phillips Academy Summer is the premier summer academic enrichment camp for high school teens, offering over 60 courses within a diverse, rigorous, and supportive day or residential environment. Discover Sarah Lawrence’s unique programs. 2-week courses in 8 fields. Whatever your interests, SLC will help teens explore their passions in a supportive summer camp environment. High School courses offered in Fall and Spring too! Music, Theatre, Visual Arts and Dance summer camp and travel programs in Europe and the Caribbean. Open to teen students age 14-19. Prepare for college, see the world, and improve your art! If you're looking for a summer adventure, try Hollinsummer, our residential camp for high school girls. We offer exciting programs in theatre, riding, and creative writing. Acadia Institute: Marine Science Summer Programs introduce teens to marine science through a unique combination of biological, physical and chemical oceanography with field, offshore, and lab work. The Idyllwild Arts Summer Program camp has offered teens an exciting array of performing and visual arts courses since 1950. Teenagers, explore your passion at Emerson College. Choose from summer camps in filmmaking or film writing, acting, musical theatre, stage design, creative writing, journalism or political communication-social advocacy-leadership. Teens can explore art, design, architecture, creative writing and more in a summer camp that provides an art-school setting for four weeks. Our students earn college credit during the summer and experience college life. Learn to code, design video games, mod Minecraft, engineer robots, model 3D characters, build websites, print 3D models, and more. Campers meet new friends, learn awesome STEM skills, and gain self-confidence. The University of the Arts Pre-College Summer Institute in Philadelphia offers intensive summer programs for high school students in art, media + design, creative writing, dance, music, music business and theater. Teens learn in a friendly and structured summer camp and strengthen their academic position while also taking enrichment courses. embARC is an intensive, four-week summer design academy for high school students held at the College of Environmental Design (CED). Teens explore architecture, urban design and sustainable city planning at our camp through a series of lectures, field trips and design studios. The Game Experience introduces students to the next level of summer camps. Learn how video games are made from concept to launch from industry professionals, get behind-the-scenes access to some of the most exciting game studios in Seattle, and connect with other passionate students from around world. CSA offers low cost, non-profit study abroad programs worldwide. Since 1990. Programs are fully accredited and open to high school students worldwide. Popular country locations include: England, Scotland, France, Spain, Germany, Italy, China, Japan, and Vietnam. See program details on our website. Early registration is advised. Join us this summer! Study Environmental Science from the mountains to the sea. During this pre-college opportunity, you'll learn it,AePand live it! You'll immerse yourself in the best of Hawaii. You'll make a difference in the world. Academic online courses designed to prepare high school teens for the demands of college-level writing. Have an unforgettable experience abroad this summer. Choose from 30+ programs worldwide—in Europe, Latin America, Africa, and Asia. Earn a community service or language certificate. Spend summertime with Kids'NComedy. Learn to write and perform your own stand-up routines. Meet people, hear from successful comics, play improv games and cap it performing at Gotham Comedy Club. No canoeing. Ever. Summer art camps at Rocky Mountain College of Art + Design for high school teens who are serious about building their portfolios for college admission. Explore advanced topics in programming, app development, electrical engineering, and robotics. Create an awesome portfolio, get industry insights, and gain a competitive advantage for college and future careers. Visual arts pre-college summer camp for credit for teens entering 11th and 12th grades. On Boston's beautiful North Shore. SEA summer academic travel camps for teens focus on the coastal and offshore marine environment around Cape Cod, Massachusetts. The AU Theater Institute summer camp, created for talented high school students, offers a unique blend of in-depth performing arts training, dynamic, engaging faculty, terrific facilities and lovely surroundings. A 6-week academic art summer camp tailored toward highly motivated teens who want to develop their visual arts skills along with college admission portfolio pieces. Teens, got a passion for politics? Immerse yourself in a dynamic summer camp experience and debate all summer. The program brings together rising high school juniors and seniors to read, discuss, argue about, and fall in love with great works of modern Jewish literature. Participants study with professors, meet contemporary authors, connect with other teens, and experience a taste of college life. Wesleyan Summer Gifted Program is the ultimate 2 week summer camp for gifted teenagers. Great campuses with academic, performing arts and sports classes. Show off your talent at the Final Program! The best summer of your life! Join other talented high school students in this summer academic camp as you take college-credit courses with Cornell faculty and explore college and career options. ACA-accredited outdoor adventure camp & travel program for ages 8-18. Rock climbing, kayaking, canoeing, caving, backpacking, mountain biking & more. Take this opportunity to really experience college life and enhance your leadership skills at Churchill Academy's academic summer camp. JKCP Presents "Architecture: Summer at Penn"
This is an architecture summer camp for high school students offered by University of Pennsylvania School of Design. The program prepares students for college admission. Students will experience college life and create their own portfolios. Canoe the Allagash, hike Mt. Katadin, sail the coast, sight-see in Boston, surf early morning waves, zip-line, eat great food and make lifelong friends. Three and six week summer camp sessions for ages 12 to 17. The Boston College Experience is a 6-week summer program for rising high school seniors. Writers in the Making is a specially designed program for talented young writers to hone their craft by working directly with faculty from the Boston College English Department. Hands-on summer camps available to teenagers 14-17 in Filmmaking, Acting, Screenwriting, Photography, Musical Theatre, Music Video, Broadcast Journalism and Game Design spanning from one-week to six-weeks. Discover GW and DC! Two residential summer program enable teens to explore their academic interests and college life: a 6-week for-credit program for 11th graders or 10-day camps for grades 9-11. Take your summer school course online. Earn the credit you need, while getting the tan you want! Visit us at www.goVHS.org to learn more about these hot summer offerings for teens! Experience college life and prep at our academic summer camps while exploring New York City with high school teens from across the country and around the world! Been bitten by the writing bug? Teens, visit our summer camp for two weeks of literary discussion and creation. Our summer camps accept teens entering 8-10th grade who have a strong interest in chamber music or environmental science. Hands-on instruction from well-known faculty, scholars and artists. Substantial financial aid is available. A creative summer camp for girls ages 11 to 17... Writing, Fashion, Dance, Acting, Story Arts, (maga)Zine and more! Two-week residential sessions at Bryn Mawr College (PA) and Smith College (MA). Join us! Discover technology in a unique environment that celebrates creativity, philanthropy, and entrepreneurship. Girls learn engineering principles, code games, design websites, model and print 3D objects, and much more. The Young Artist Residency Program (YAR) summer camp at The Art Institute of Boston (AIB) at Lesley University offers a full schedule of summer courses and activities for college credit. Experience Boston and college life. These intensive hands-on programs for teens are taught by working artists using state-of-the-art equipment. Combine an exploration of filmmaking, photography or multimedia with a true Maine summer camp experience. Global Works’ summer programs for teens encompass service projects, outdoor adventures, cultural exchanges and language immersion in Central and South America, Europe, Asia, Africa and the South Pacific. VISIONS has set the standard in service programs since 1989. We help teens tap into the best parts of themselves, while working with community partners to achieve shared goals. Work with published writers, live on the University of Virginia campus, and join a visionary teen artist's community. At this camp, take your writing where it's never been before. This dynamic overnight summer camp will expand teens' identities as writers through intensive workshop experiences. Fun college-like academic summer courses for high school students taught by popular professors. From Harry Potter to human cadaver dissection, there's something for everyone. Evening summer camp activities included. Design Immersion Days summer camp program introduces teen students to careers in architecture and design through the exploration of how products, buildings, and environments are imagined and made. Summer camp designed to provide teens with opportunities to participate in creative projects and investigations with university mentors. Work with well-known writers, earn college credit, and make friends with teens from across the country! Develop your writing style and experience life on a college campus at our summer camp. Find inspiration on the scenic Maine coast! Northeastern's Summer Programs for teens include credit and noncredit summer camp options designed to prepare rising sophomores, juniors, and seniors for the academic, social, and campus experiences of college. BIMA summer camp engages Jewish teens in an intensive arts program at Williams College to advance their skills in music (choral/jazz/chamber ensembles), creative writing, or painting. Teenagers can experience a unique combination of informed European travel and rigorous study, and earn college credit, through University of Dallas High School Summer Abroad. Audition for summer programs and day camps at NYC's first and most recommended teen film and theater acting conservatory. Professional working staff and graduates (currently starring in ten TV series) attest to quality training. Teenagers can immerse themselves in an accelerated academic summer camp program in Coastal Marine Ecology, Creative Writing (Poetry), Neuroscience, or Pre-Law. Experience college life on the scenic Maine coast, and earn 3 college credits. Scholarships available! Summer programs engaging teens in Wilderness Expeditions, Service and Native Cultures since 1984. Outstanding adventures, travel and service projects in the American southwest and Costa Rica.